SSOE China Co. LTD recently announced its selection to help Ford Motor Company’s efforts to increase its footprint in the world’s largest growth market with the Ford Research and Engineering Center located in Nanjing, China. SSOE is providing EPCM (engineering, procurement and construction management) services for the Center, which is focused on helping Ford serve China’s rapidly expanding economy and booming automotive and industrial markets. 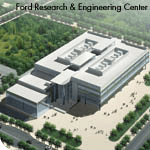 The first phase of the Ford Research and Engineering Center consists of a 1.1 million-square-foot Component and Vehicle Testing Laboratory that is scheduled for completion in December 2007. The second phase, expected to be completed in 2008, is a 1-million-square-foot technical center and China headquarters for Ford. 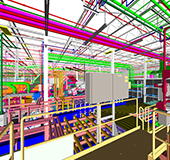 SSOE recently completed site design for the new Toyota assembly plant in Blue Springs, Mississippi. It is a civil engineering feat that will require moving 16 million cubic yards of earth in order to make the site level enough to construct Toyota’s newest assembly plant on the site. The earthwork package represents four times more earth moved in less time than any other Toyota project in North America– enough dirt to fill an average NFL football stadium approximately 25 times when the project is complete. SSOE is providing full architecture and engineering services for the facility, which will produce the Toyota Highlander sport utility vehicle beginning in model year 2010. The 2.4 million square foot facility that will be constructed on the 1,700 acre site is expected to house 2,000 employees. At a total cost of approximately $1.3 billion, the facility is expected to produce 150,000 vehicles per year. 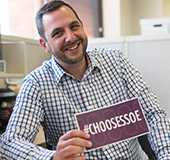 Ayers Morison, Jr., AIA, LEED AP was recently appointed SSOE’s Design Leader. 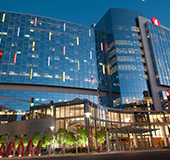 Morison possesses more than 30 years of design experience with a wide array of clientele including healthcare, retail, science and technology, and automotive. He is responsible for enhancing the overall quality of design throughout the firm by leading major design efforts. Specific areas of concentration will be the healthcare and retail markets. Throughout all design efforts, emphasis will be placed on sustainable design practices as a means of improving the overall quality of projects. 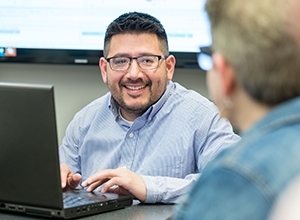 Another significant aspect of his position is to mentor new architectural staff interested in pursuing more design responsibility through SSOE’s Training and Development program. Once again in just a few short months, SSOE is being recognized as the place to be. 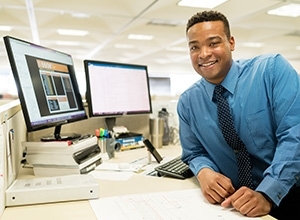 On September 3rd Crain’s Detroit Business named SSOE as a “Cool Place to Work”. This honor is preceded by being named one of the nation’s nine “Best AEC (Architecture, Engineering and Construction) Firms to Work For” by Building Design & Construction Magazine. 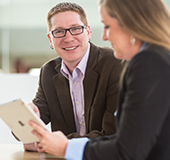 SSOE’s industry leading profit sharing plan, training, professional development program and work-life balance initiatives including wellness coaches were all factors in why SSOE was selected for this honor.